Commencement is the most important step in the transition your graduates make from students to New Alumni. This step is usually accompanied by multiple programs, activities, and mailings by Alumni Associations to strengthen this important bond as your graduates become future leaders and benefactors who can play an important role in the future of your institution. Commencement is your last point of contact as your New Alumni head out into the world, and we can help you personalize your initial contacts with them. 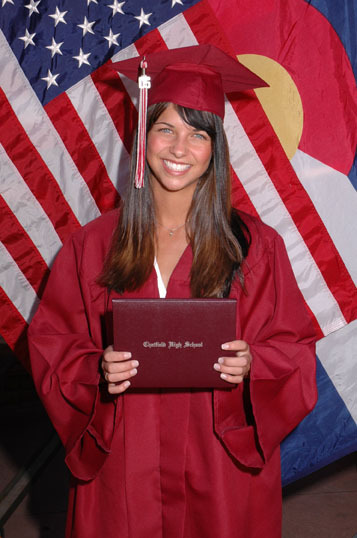 Graduation Foto has developed a proprietary no-cost program that has been used by many top Alumni Associations at both small and medium size colleges, and major universities. We can obtain and provide you with updated address and private email addresses for 55-80% of your New Alumni. We can prepare a no-cost completely turn-key New Alumni Mailing to the graduates at their new post-commencement addresses. We can assist with personalizing your own mailings with photos of each graduate as they are recognized during commencement. We can provide you with special personalized thank-you photo gifts for key alumni and honorees who are recognized at commencement. We can also provide you (at no cost) with portraits of each New Alumni for future use for press releases, school and alumni publications, etc. We can make your Alumni website more relevant and interactive with photos of commencement, the entire graduating class, and other content.